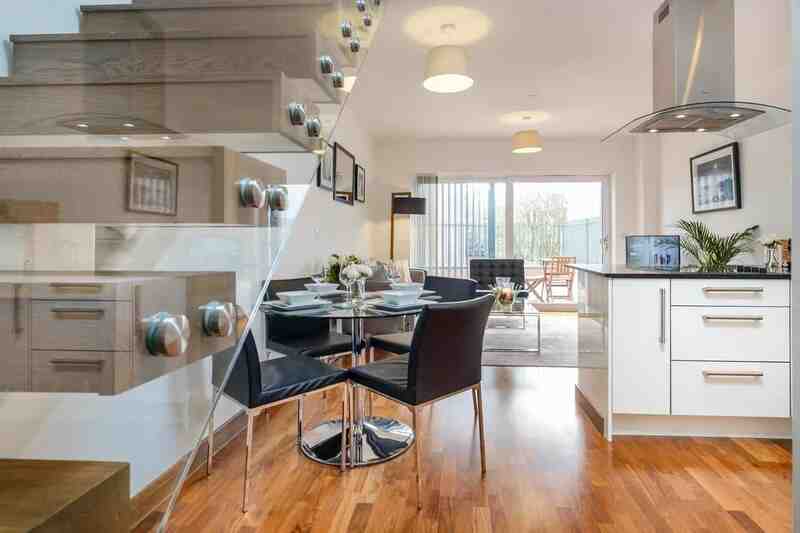 Located within the brand new, prestigious Grand Central development, this impressive duplex benefits from a large outside terrace complete with privacy screen and outdoor seating. 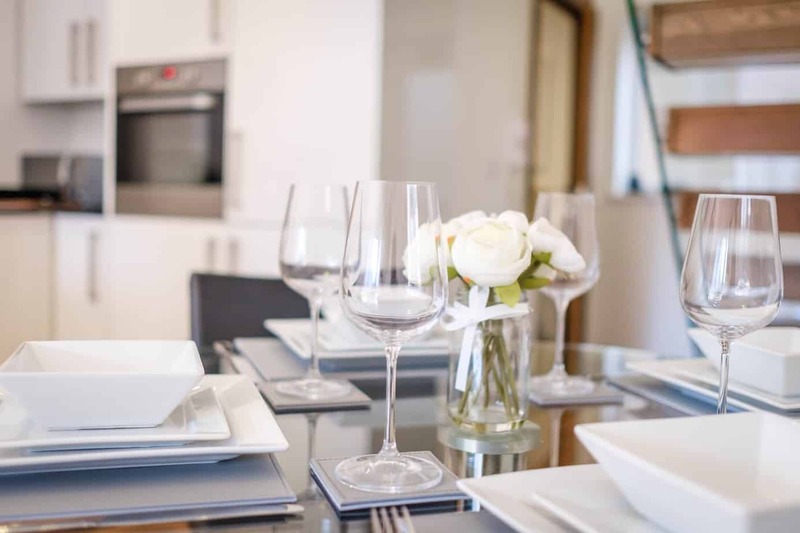 An open plan kitchen diner fully equipped with all the ‘mod cons’ and premium kitchenware is also available for your convenience. 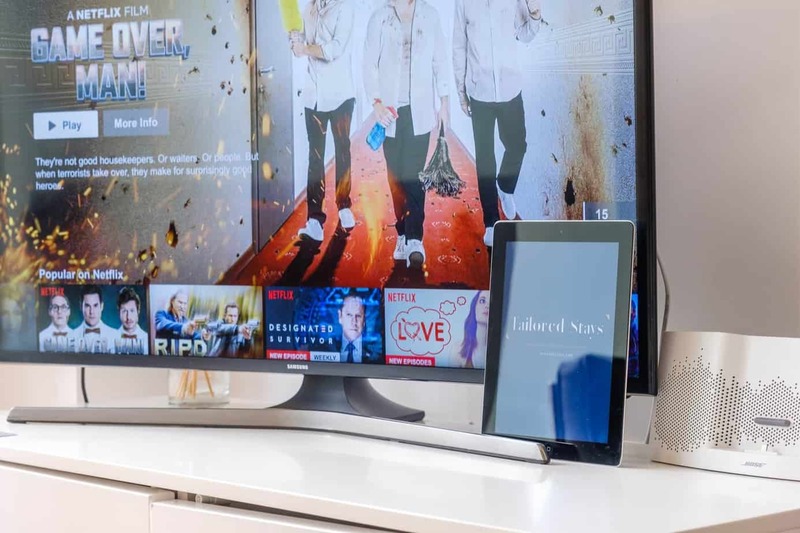 Along with a living area creating a welcoming and social area, boasting the latest smart tv, and Bose sound system. The bedrooms offer the finest night sleep, with Egyptian cotton bedding, duck down pillows, and black out blinds. 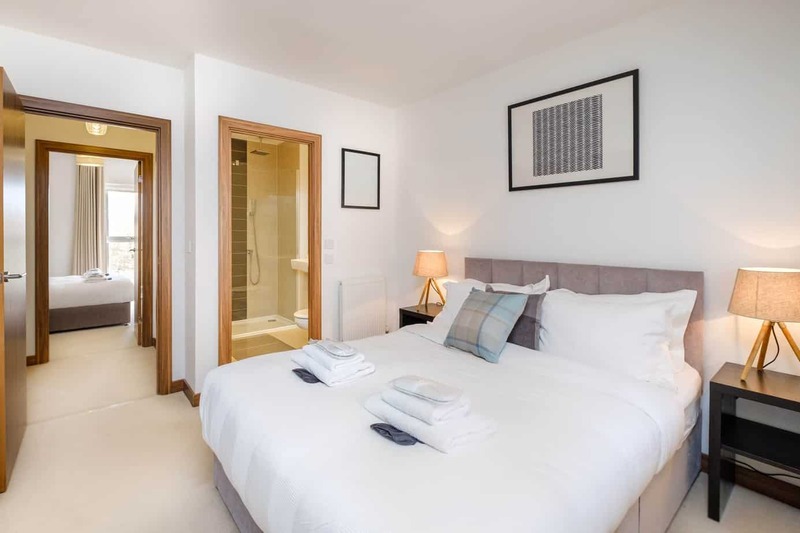 Both bedrooms include an en-suite bathroom with rainfall shower, heated towel rail and Aromatherapy Associates toiletries. 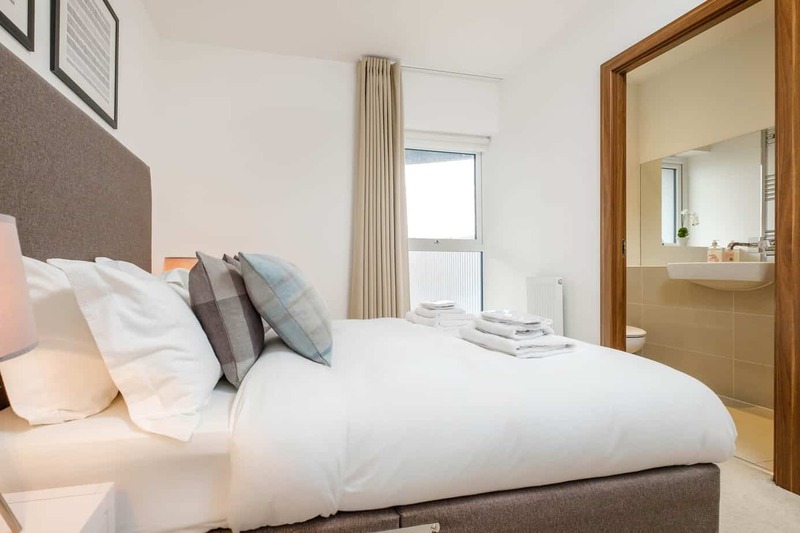 The bedrooms also come with plenty of storage including a large built in double wardrobe and separate large storage cupboard suitable for suitcases. You will also have use of a private underground parking space. On street parking is available for additional vehicles should it be required. 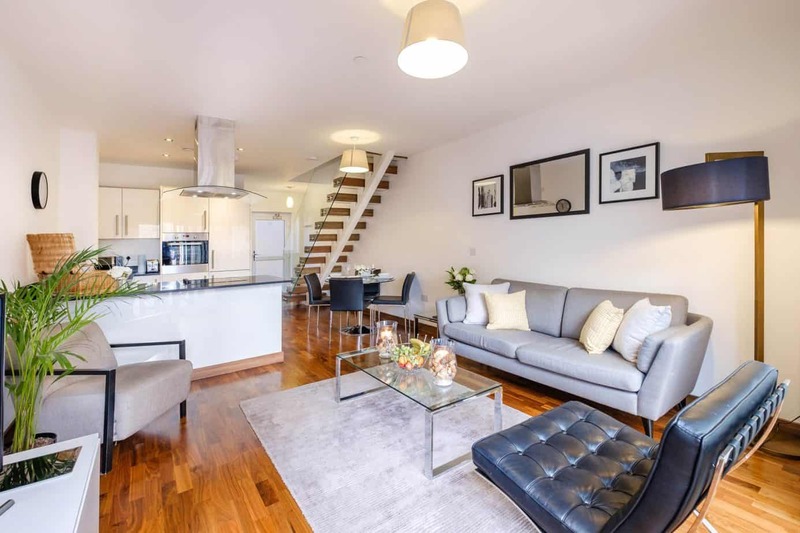 Tailored Stays Grand Central Duplex enjoys easy access to excellent transport links. Cambridge Railway Station is under a mile from Grand Central, with direct trains running every 20 minutes, or less, to London Liverpool Street as well as frequent direct trains to London King’s Cross, (these fantastic links offer connections to the London Underground and all that the capital has to offer in under an hour). 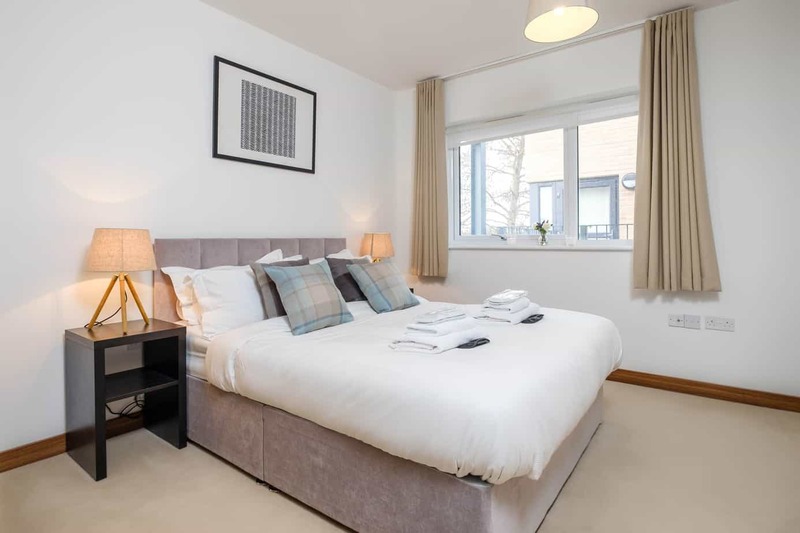 The Duplex is also perfectly located for shopping within Cambridge with grand arcade shopping centre and the historic city centre just minutes from your door.  Tailored Stays is proud to have been voted the highest rated serviced apartment provider in Cambridge for 2017, so get in touch to see how we can exceed your expectations. 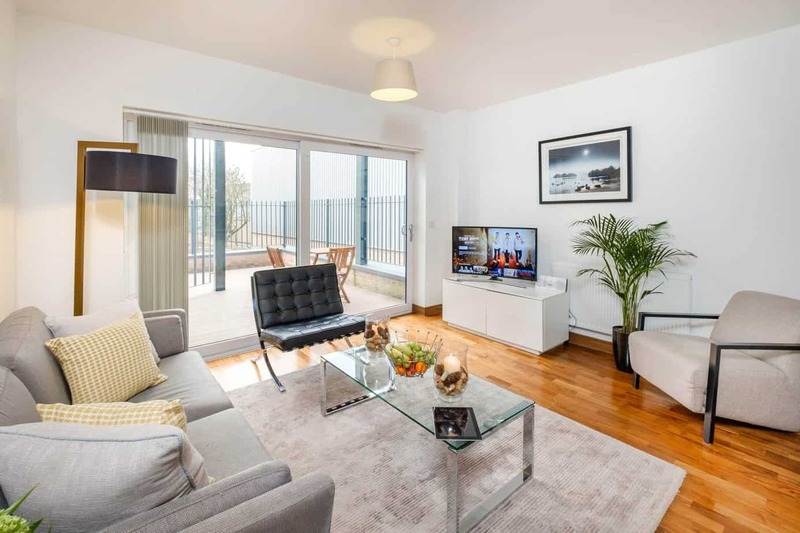 "ENJOYS A large, SUNNY, private terrace with outdoor furniture, perfect for a warm evening"
The apartment boasts a 43 inch smart TV with complimentary Netflix and use of iPad. The living room boasts a Bose docking station for your enjoyment. 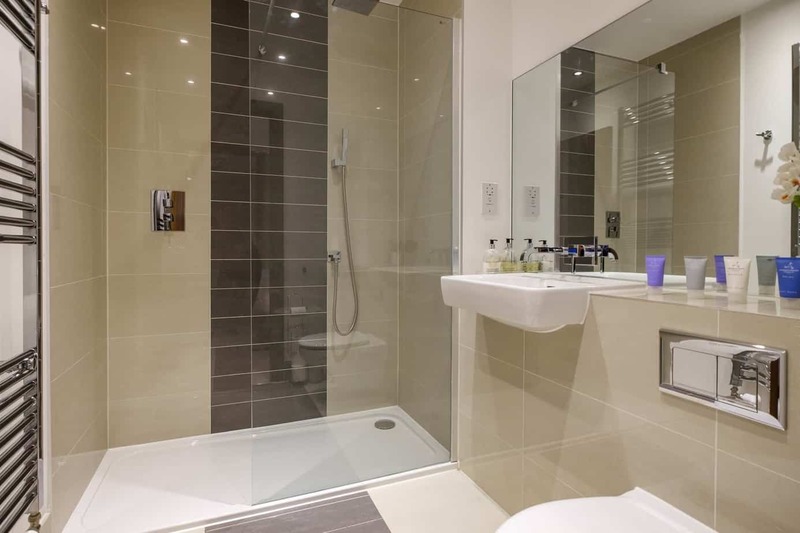 The apartment is furnished to a modern standard with all the home comforts. 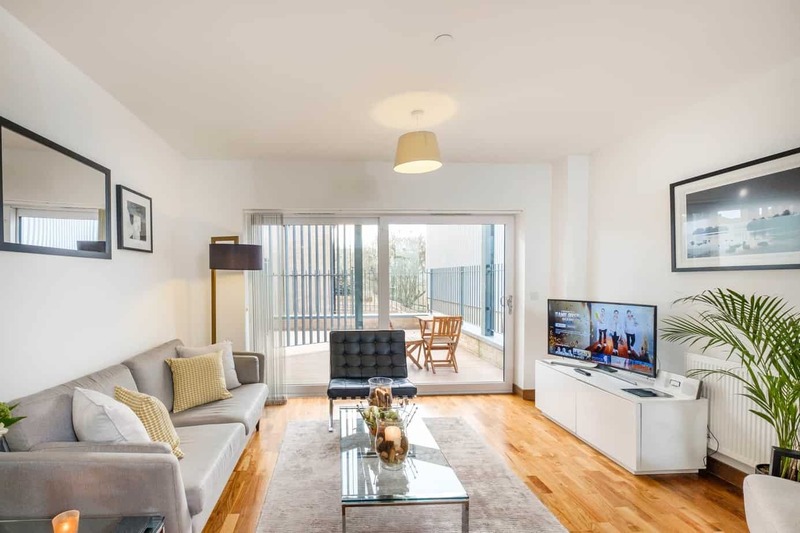 "boasting a living area creating a welcoming and social area, offering the latest smart tv, and Bose sound system." 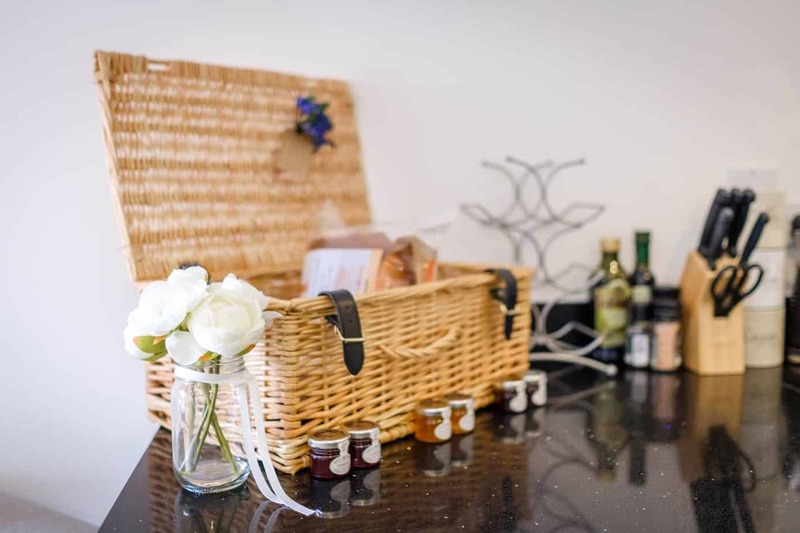 Tailored Stays takes its responsibility in providing each guests the very best stay during their time in Cambridge which is why we are proud to be the highest rated serviced apartment provider in Cambridge. 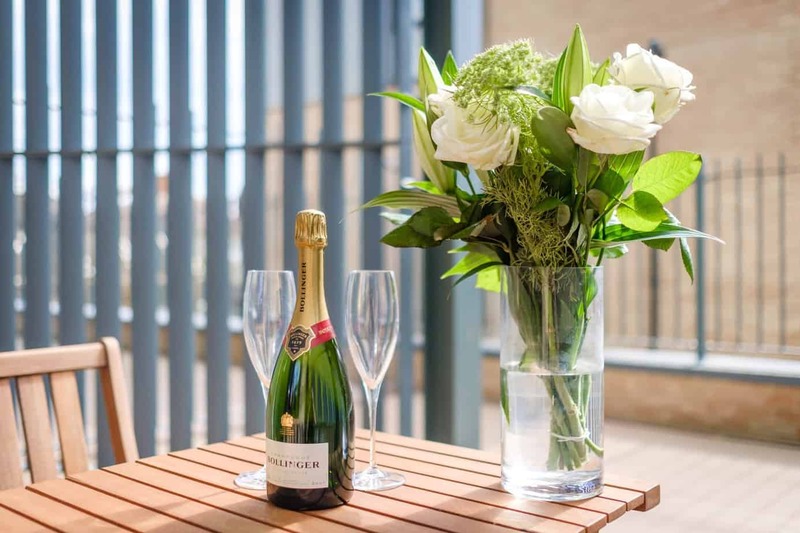 "Tailored Stays is proud to have been voted the highest rated serviced apartment provider in Cambridge for 2017, so get in touch to see how we can exceed your expectations." 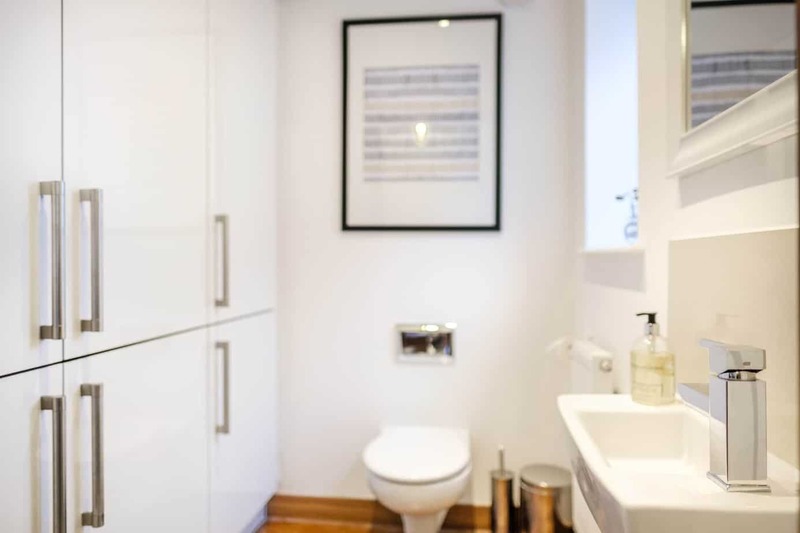 INTERESTED IN EXPERIENCING FLAMSTEED DUPLEX APARTMENT?